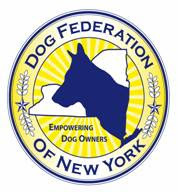 As a follow-up on the likely impact of proposed new rules for a host of pet and animal suppliers, DFNY encourages members of the rescue community to carefully consider the ramifications of USDA regulation on the activities of shelters and rescues if and when the federal government includes them within the scope of the Animal Welfare Act, USDA regulation and APHIS enforcement. Not just a problem for "breeders." The author of this essay, and the earlier one posted below, is Susan Beals. If you pay any attention to internet lists, you may have seen a big flap that started in the middle of May about the new USDA proposed regulations. Well, it is a big deal. Federal regulation impacting your ability to own pets is something you need to understand, form an opinion about, and then submit a comment to USDA during the public comment period. You should also send copies of your comments to your senators and to your congressional representative. If you own pets and want to continue to be able to own the pets of your choice – all pets, not just dogs or cats – you can’t just let this one slide and expect someone else to take care of it for you. USDA (United States Department of Agriculture), in the person of its enforcement arm APHIS (Animal and Plant Health Inspection Service), has been responsible for the administration of the rules and regulations written to enforce all of the various animal welfare acts beginning with the Laboratory Animal Welfare Act passed in 1966 to the Animal Welfare Act of 1976 and the Food Security Act of 1985. As part of this enforcement, APHIS has been responsible for the licensing and inspection of anyone who, for compensation, acts as a broker or dealer of animals, or operates an auction house, or transports animals, or uses animals in an exhibition such as a zoo or rodeo, or operates a research facility using animals. In other words, APHIS has primarily been concerned with animal wholesalers, exhibitors and researchers. All of these people or businesses or organizations have been required to be licensed and to meet minimum standards for care and treatment of their animals and to comply with the other regulations written for enforcement of these Animal Welfare Acts for many years – those standards being enforced by APHIS through regular inspections of records and property. 8. A person who buys animals solely for his own use or enjoyment.